Housing is a pressing and challenging issue across social and public policy, and raises questions as to how we provide shelter for our populations, how we meet equal and decent standards of living, how we deal with demands over land and property, and how we tackle the growing homelessness crisis. With vocational opportunities, BA Housing Policy and Practice offers an excellent opportunity for future practitioners to achieve their full potential and to develop their operational capacity. You'll examine current debates in housing policy and its implementation in practice. 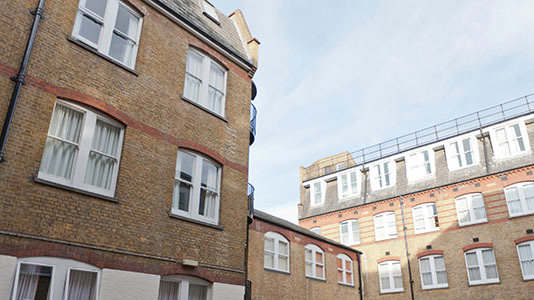 LSBU is the only university in London and the South East offering an undergraduate degree in housing designed to meet the needs of current and aspiring housing professionals. Why Housing Policy and Practice at LSBU? You'll gain the necessary skills to enable you to successfully work within both private and social housing roles. Innovative programme of study, with both full time and part time (day-release) modes. Accredited by the Chartered Institute of Housing. Provides access to full corporate membership of the CIH. Professional links: Teaching supplemented by practitioner visits and lectures throughout the programme. Includes field study visits to explore housing in the UK and in Europe. No. 1 in the UK for overall satisfaction in Planning (National Student Survey 2018). Alumni and staff of LSBU share their views on the housing crisis currently affecting the UK. LSBU research investigates how to minimise building costs without compromising on quality. This module provides an introduction to financial management within social housing organisations. It will equip students in business planning skills including financial management, asset management, information collection and sharing within organisations. Assessed by coursework and multiple-choice exam. The module will look at approaches to customer service and examine the use of customer feedback to develop a professional housing service that is responsive to the needs of diverse service users including vulnerable groups. It aims to develop the knowledge, skills and practice that build professional customer service in housing with an emphasis on the needs of diverse groups. Assessment: 100% coursework. The module provides an introduction to a range of academic analyses of how organisations and individuals operate and their management. Students are encouraged through theory to consider how organisational knowledge might be used to manage individuals effectively within organisations subject to rapid change. Assessment: 100% coursework. This module provides an introduction to the history and current context of the UK housing market. The links between housing, Town Planning, the environment and sustainability are explored. Students will be provided with a historical background to the changing nature of the UK housing market and housing policy, tracing the shift from 19th century slum housing and public health concerns through the changing role of the State to the current day. Assessment 100% coursework. These modules provide the opportunity for learners to apply theory to reflective practice within a housing organisation. Additionally the module will enable learners to understand the role of professionalism and manage their own professional development. Assessment: 100% coursework. In this module, students will develop their practical research skills by focusing on developing an in-depth understanding of the research design process, data collection and analysis. By engaging in research methods training for the housing profession, students will develop a range of skills in order to be able to undertake research projects. Assessment 100% coursework. Enables students to critically examine current housing management and maintenance issues affecting housing organisations. It will develop an understanding of the impact of different approaches to housing management at a local level. Additionally, the range of challenges and problems confronting housing management across different contexts and supported housing will be assessed. Assessment: 100% coursework. 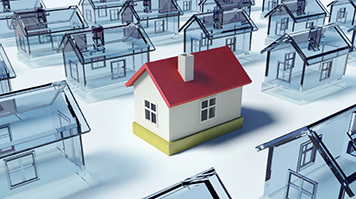 This module provides the students with an understanding of housing development strategies. It will start by considering the context for development and it will then look at different housing strategies put forward by UK Governments over the last 20 years, focusing on the most recent ones. Assessment: 100% coursework. This module provides students with a broad introduction to the variety of social science perspectives on contemporary society, governance and welfare in the UK and how these impact upon the development of policy and practice. Assessment: 100% coursework. This module deals with the housing systems and environmental sustainability policies and practices that are in place in the UK and the Netherlands. These are presented and developed to provide a basis for comparison with contemporary housing, sustainability and urban regeneration in the United Kingdom. Field study skills are developed used in a study visit to The Netherlands. Assessment: 100% coursework. This module develops an appreciation of housing policy to the application and evaluation of strategic planning in housing and the impacts of national and local strategies on social and economic environments. The examples used throughout the module will illustrate the role of housing strategy, the realities and issues confronting housing practitioners and communities in relation to broader social policy. Assessment: 100% coursework. Provides the economic and financial background to housing finance as expressed at a national and organisational level and provides an essential underpinning of the framework within which housing organisations operate. Assessment: 100% coursework. This module equips students with advanced skills for dealing with housing issues and extends students’ knowledge of housing law. It deals with a range of complex problems by analysing complimentary areas of statutory approaches in relation to homeless people. There will an emphasis on how recent legislation is developed and interpreted in practice. Assessment: 100% coursework. The aims of this module are to enable students to understand the development and housing sectors of developing countries. This module will prepare students to apply the knowledge and principles acquired on the course in a developing-country setting, and will support students in understanding and planning for their potential role in the sector. Assessment: 100% coursework. This is an intensive piece of student-devised learning which can include empirical research. Students choose their own research topic which must be in the field of their chosen degree and specialism. This course is aimed at employees working within the housing profession and those who aspire to work in this field. It is specifically designed to enable students to enhance and develop their careers. The knowledge and critical skills provided by the course will enable such professionals to develop their existing roles and equips them for career development to more senior operational and later strategic positions in management, policy, development and research. Upon graduation, students have the opportunity to apply for further study at post graduate level, on our full time or part time programmes – MA Housing Strategy and Leadership or MA Housing and Society. BA housing Policy and Practice is accredited by the Chartered Institute of Housing (CIH). Established in 1916 the Chartered Institute of Housing aims to give everyone working in housing the advice, tools and knowledge they need to be brilliant. Chief Executives and Senior Executives from various housing associations. Work Placement module offered to students not currently employed the in the housing profession the opportunity to undertake a work placement scheme of 60 hours. Both the Reflective Portfolio and Work Placement module will provide an opportunity for learners to apply theory to reflective practice within a housing organisation and will enable the housing professional to understand their role within the profession and the expectations for continuing professional development. The academic team comprises of both academics and practitioners who are actively involved in the industry and leading on housing related research. Committed to delivering research and practice-informed teaching, our team is currently working on a range of areas, including, welfare reform and housing law, housing and property development, and the growing financialisation of housing. All modules are assessed through a combination of essays, project-based coursework, problem solving exercises/case studies, oral presentations, student-led seminars, individual and group projects, and reflective practice. I recently graduated from London South Bank University and the whole process has been life changing. Right from the start the teaching staff for the housing course at LSBU set the expected standard and ensured us all that support would be available throughout the course. The teaching styles and teaching methods remained relevant throughout the course and the lectures were always very willing to go through anything the class was unsure of. University’s Technology Enhanced Learning (TEL) strategy seeks to support students’ learning on modules through Moodle, a virtual learning environment (VLE). Students will be able to access core information concerning modules through Moodle sites for each module. Students are offered continued support during the degree programme, to develop academic writing and referencing, oral presentations, data collection and presentation. Mature students (over 21) without the above may be admitted on the basis of relevant voluntary or paid work experience in a housing organisation. Lowe, S. (2011) The Housing Debate, Policy Press: Bristol.